Spring has Sprung at EnergyFirst! Spring has sprung at EnergyFirst! We couldn't be more excited about our current product line up and the tremendous feedback that we've received from our customers. 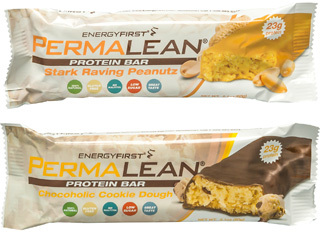 Our new Permalean protein bars are shipping to rave reviews! They are 100% natural with 23g of protein isolate, 9g of prebiotic fiber, and less than 5g of natural sugars (sweetened with Stevia). The taste and texture has to be experienced to be believed. We think it's the best of any all natural, high protein, low glycemic bar we've ever seen. 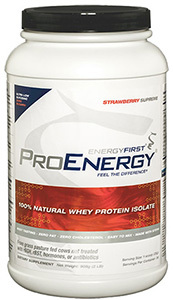 We're excited to ship our new Prefuel Pre-Workout later this month. We've been working on that (as with the bars) for the better part of the last year in an effort to ensure that it is the very best 100% natural, 100% healthy pre-workout athletic performance blend available anywhere. We're confident that we've succeeded, and we'll need you guys to let us know once you try it. We love your feedback. Check the website for the nutritional data and featured benefits of our new Prefuel or download the data sheet here. You can respond to this email or call in with any questions, comments, or suggestions. This spring, as you're foraging through the market, the garden, or your fridge for foliage, make sure to grab a couple pounds of leafy greens. (The darker, the better). Chances are you already know how healthy they are for you. However, are you getting your daily dose of greens? 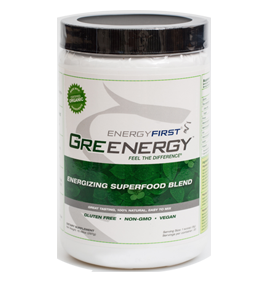 Drinking the Greenergy everyday will get you your daily dose of green nutrients, and it's important to know how healthy they are for you. Read this article for another reason to love the color green. Lying in the middle of the calendar this May is Dementia Awareness Week. This month we discuss one type of dementia - Alzheimer's disease. Although many are aware of this horrible disease, Alzheimer's is often misunderstood. For one thing, it's more than just a simple case of clumsiness or forgetfulness. It's a serious disease and it's fatal. In fact, it's the sixth leading cause of death in America. Will Alzheimer's win? Find out three important facts you need to know about Alzheimer's and ward it off here. What does health look like? Though our looks can reveal a lot about our health, beneath the skin's surface lies an organ we think too little of - the endothelium. If you're looking after your heart, learn why it all starts with the innermost layer of your arteries here. 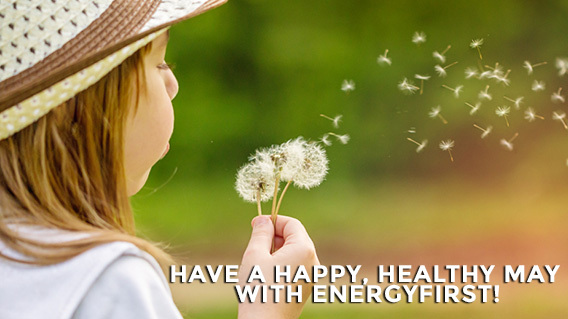 Make it a great month, feed your strengths, and let EnergyFirst support you in being the very best you can be. Unlike most diseases that hit hard and hit fast, Alzheimer's slowly creeps up into a victim's life and affects every aspect of it, starting with the brain. Brain cells malfunction. Then, they die. "Thought I would let you know that since I have been using whey protein as a main protein in my diet, I have lost 30 lbs and reduced my cholesterol from 268 to 158, all within 3 months." "Over the course of three months I lost 20 pounds and 5% body fat, and my cholesterol and triglycerides dropped to healthy ranges of 140 and 99, respectively."